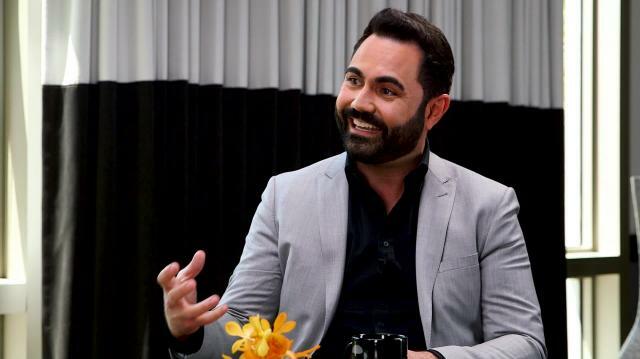 Award-winning radio host Enrique Santos opens up about coming out, his path from police officer to celebrated host, and pranking Fidel Castro in this candid interview. Plus, the former policeman on his anxiety over President Trump. Larry King interviews Enrique Santos, an award-winning radio host and the chairman and chief creative officer of iHeartLatino, the new Hispanic division of iHeartMedia. Santos hosts the radio show ‘Tu Manana con Enrique Santos,’ and is a policeman turned broadcaster. He describes calling a radio director who liked his voice and eventually becoming a full-time morning show host, but adds that he is still a reserve police officer. Larry asks about Santos’ history of making prank calls to Fidel Castro and Hugo Chavez. Santos describes how he had a segment where he called Cuban people using snippets of Castro’s voice and convinced them it was Castro. He pranked Chavez with a recording of Castro, and then pranked Castro using the recording of Chavez. Though Chavez was quiet when told it was a prank, Castro swore at Santos when told it was a prank. Larry asks about Santos’ new role with iHeartLatino, and Santos talks about how iHeatMedia reaches 90 percent of Hispanics through all its platforms. Larry asks him about working with Ryan Seacrest, who carried Larry’s bags onto a plane once, and Santos praises Seacrest for his advice in Santos’ move from Univision to iHeartRadio. Santos talks about his new show, ‘On the Move with Enrique Santos,’ which focuses on music, lifestyle tips, and current events. Speaking about current events, Larry asks Santos if he’s still freaked out by trump. Every day, Santos says, and elaborates that he can’t respect someone who doesn’t respect others. A lot of Trump’s antics would be funny if it weren’t so sad, and Santos especially laments kids being separated from their parents. Larry says that Trump is controlled by money and is more classist than anything. Santos takes issue with Trump’s lack of compassion, and that Trump hasn’t done anything to truly change things for the better. Larry mentions Trump’s pro-police attitude, and Santos laments the bad rhetoric of anti-police attitudes used against Clinton and Obama. He says the majority of police are good people who risk their lives. Inquiring more into Santos’ personal life, Larry asks if it was hard coming out. Santos describes first coming out to his family in his early 20s, and how he was blessed, unlike a lot of people, that his family was loving and accepting, especially considering the Latino culture’s emphasis on machismo. Santos doesn’t think Trump cares about the LGBT community, especially when Trump hasn’t proven that he cares.